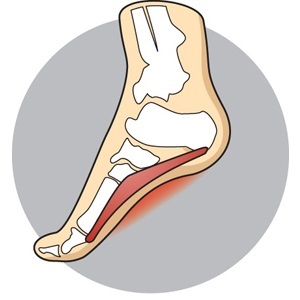 Every time your foot strikes the ground, the plantar fascia is stretched. You can reduce the strain and stress on the plantar fascia by wearing shoes and orthotics that support your arch to prevent over-stretching of the plantar fascia. Come in to a store today to view our range of plantar fasciitis friendly shoes.